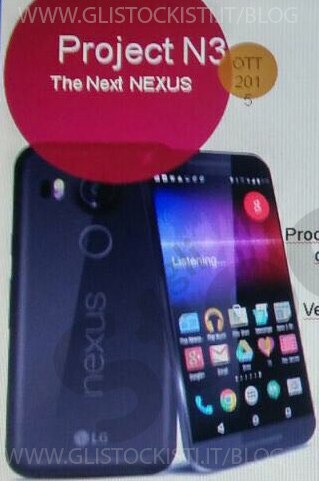 It's been already a day we haven't had a new Nexus leak, and we are quick to remedy the situation with this purported image of the third LG-made Nexus 5X addition to Google's phone brand stable. Given that this is the third one that LG created, the project is aptly called N3 internally, and the picture here is apparently part of a slide from an internal presentation. We can see the black version of the phone now, which is a breath of fresh air after the latest renders of the white variation. The round finger scanner, the two-tone LED flash, and the laser autofocus system of LG, are also clearly visible. The insiders that tipped this slide have also reconfirmed the rumored specs to be a 5.2" 1080p LCD display, a 64-bit Qualcomm Snapdragon 808 hexa-core processor, clocked at 1.8 GHz maximums, and paired with an LTE Cat. 6 cellular modem, as well as 2 GB of RAM, and 32/64 GB of internal storage. The rear camera is listed as 12.3 MP, which will likely be branded as a 13 MP shooter, and a 5 MP selfie snapper is allegedly placed at the front. 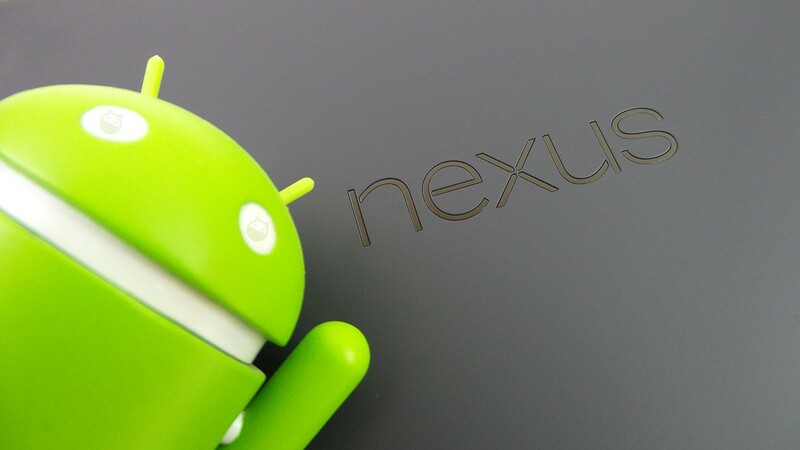 The only ho-hum endeavor is the 2700 mAh juicer, but Nexus phones have rarely been excellent in terms of battery life, so there you go. Google's event on September 29th is the next one to look forward to this month, after Apple's grand iPhone unveiling today, so the month is shaping up to be full with great phone announcements - the more, the merrier.